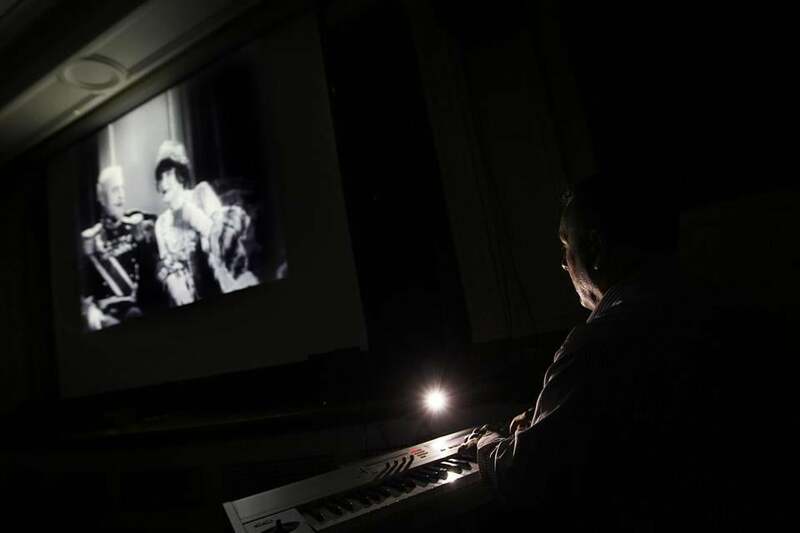 Jeff Rapsis plays piano to accompany the 1926 Sidney Franklin film “The Duchess of Buffalo,” at the library in Manchester, N.H.
Jeff Rapsis is kidding, but he’s onto something. When the 1921 Charlie Chaplin classic, “The Kid,” unspools at the Somerville Theatre next Sunday afternoon — a Father’s Day special and the latest installment in the Somerville’s ongoing silent film retrospective — the 49-year-old New Hampshire native will be at the piano once more, communing with the spirits of Chaplin, Jackie Coogan, and other artists of nearly a century ago. Rapsis is one of a hardy breed of musicians who provide accompaniment to classic silent movies — comedies, dramas, westerns, horror films — when they’re shown in libraries, art-house theaters, and other institutions. They’re being shown more and more often. In fact, the digital revolution and an increasing commitment to film preservation has led to a recent boom in silent film, with restored versions appearing in new prints and on DVD and an avalanche of titles finding their way to disc and streaming media. At the same time, 21st-century audiences are discovering that silents are much more than the crude flickers of popular myth. They can be eerie (the 1925 “Phantom of the Opera”), epic (1925’s “Ben-Hur”), exciting (any of Douglas Fairbanks’s swashbuckling adventure films), shockingly decadent (Eric von Stroheim’s 1924 “Foolish Wives”), profoundly moving (F. W. Murnau’s 1927 “Sunrise”), or just really, really funny (Chaplin, Buster Keaton, and Harold Lloyd are the acknowledged go-to guys). Perhaps the most remarkable aspect of all this is that Rapsis is relatively new to the game. The past two decades have seen a miniature surge in creative silent-movie musical accompaniment, with groups that run the gamut from the experimental Cambridge-based Alloy Orchestra to the traditionalist Mont Alto Orchestra, which works out of Colorado. Rapsis himself is representative of a growing number of solo practitioners who simply love the experience of improvising music to images moving on a wall. It’s doubtful whether his day job engenders quite as much passion. Get Rapsis started on the subject of silent-movie accompaniment, and he’s soon discoursing on mysteries. “It takes about 10 minutes for this to happen, but I get into this place I call the Accompaniment Zone, where I respond to the film in a way that’s almost like a meditative state. I’m responding to the movie almost like an audience member would be, but I have a keyboard in front of me and I’m able to create music that reflects that emotional response. 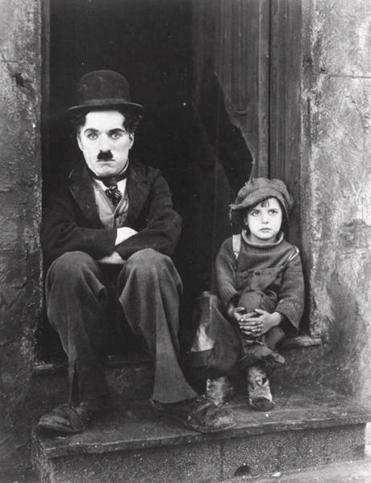 A still from Charlie Chaplin’s 1921 film, “The Kid,” with Jackie Coogan. “At the same time,” Rapsis continues, “there’s this other level that’s not so subconscious, where I’m aware of the audience and what the moment is in the context of the whole film. There’s part of me that’s calculating in real time: I don’t want to come on too strong too soon in a scene if I know there’s going to be stuff more powerful later on and I’ll have nowhere to go.